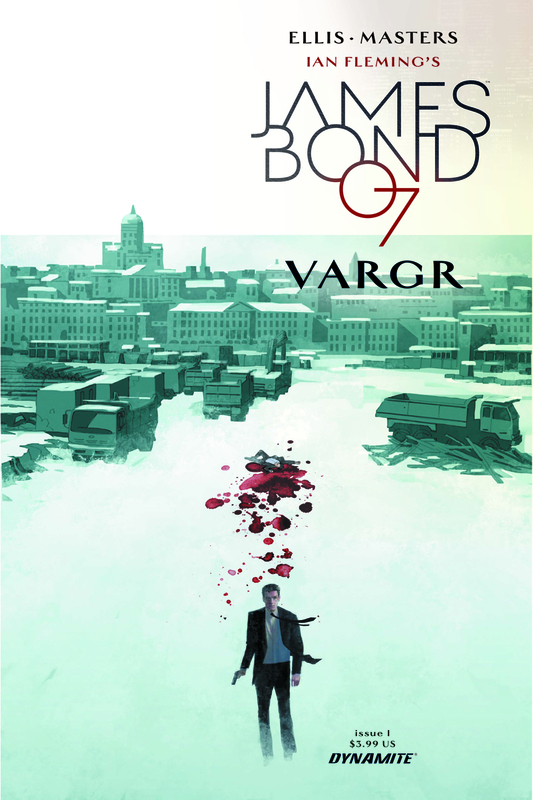 EXCLUSIVE: The cover artist for Dynamite’s new series James Bond: VARGR reveals how he came up with the look for #1 — out this week. It’s 007 WEEK! 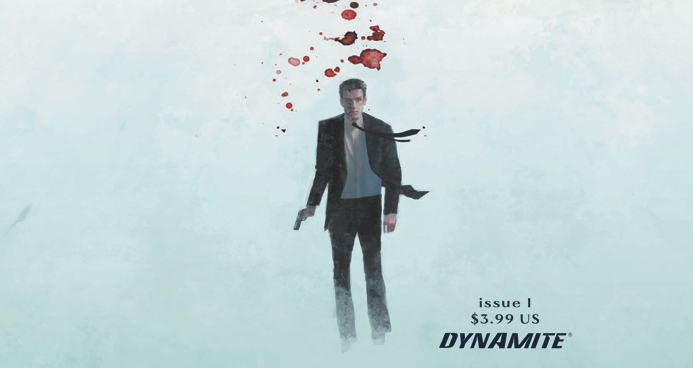 Spectre comes out Friday here in the States but on 11/4, Dynamite brings us something long overdue: The first James Bond comic book in ages. 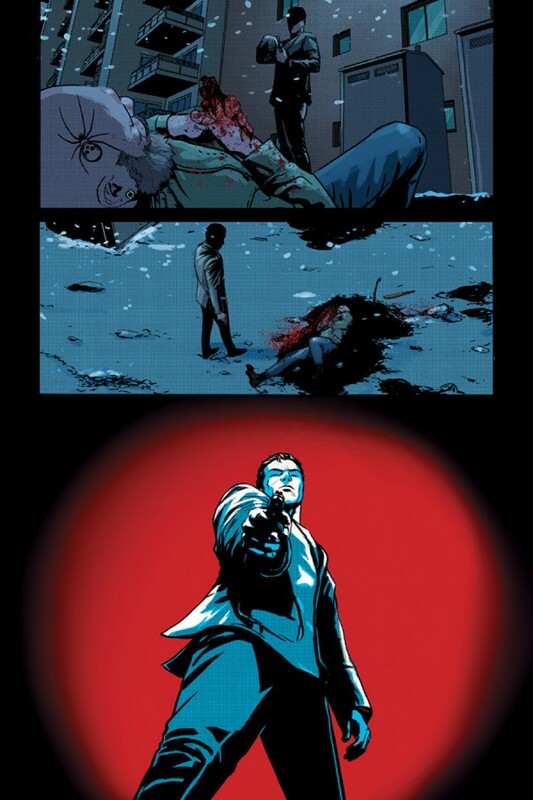 And Dynamite, in concert with the Ian Fleming estate, didn’t mess around, selecting Warren Ellis as the writer. The artist is Jason Masters — and as can be expected, there is an array of covers for Issue #1. Every day this week, we’re going to feature one at 13th Dimension — with sort of director’s-cut commentary from the artist — including illustrators like Jock, Gabriel Hardman and Dan Panosian. Dan Greenfield: How did you come up with that image? Dom Reardon: I’d read the synopsis for the story and the feel of the locations was what I wanted to feature more than anything else. 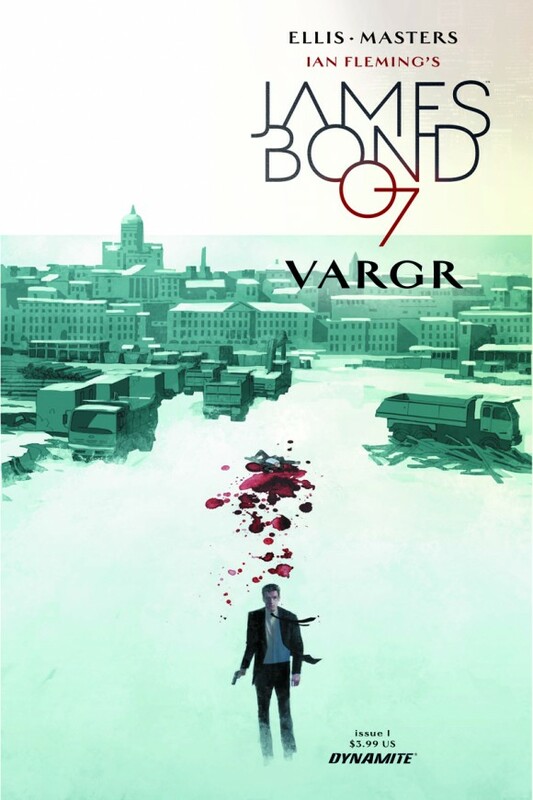 I knew Part 1 started with Bond in Helsinki, so Helsinki in the snow seemed like the right thing to do. I also wanted a cold feel about Bond himself, he’s takes the guy out and he’s walking away. Dom: Yeah, well the main aim was to match up with Jason’s Bond in the interiors, but I hadn’t seen too much of that when I was doing this first cover. I think mine turned out leaner than Jason’s did. I didn’t want to pin Bond down too much in this image, which I why I didn’t go for a big face shot. Getting the right pose of how he walks away was the fun bit! Dan: That said, pick a Bond, any Bond: Which is your favorite actor, movie or book? Dom: Ha, well for me it’s Roger Moore, but that’s definitely not the feel we’re going for for this book! It’s an age thing I think, Moore was my childhood Bond, but also I just like the over-the-top silliness of his films, and to me there was also a slightly creepy quality to his Bond, which I kinda like.